I looked at a few recipes on the internet and adapted to suit our tastes. I must admit that it is not a cheap dish as the octopus cost £5 but it is a good light summer starter or main with a big green salad and fresh bread. 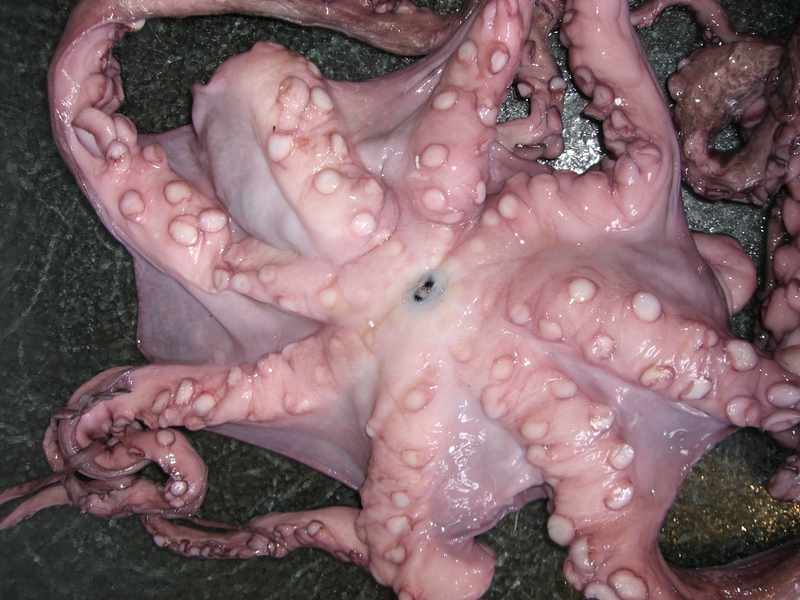 If you want to be really frugal keep the carrot and onion water after cooking the octopus – you can freeze it in a plastic bottle and use it as a base for bouillabaisse, for cooking mussels or as a stock for a seafood paella. 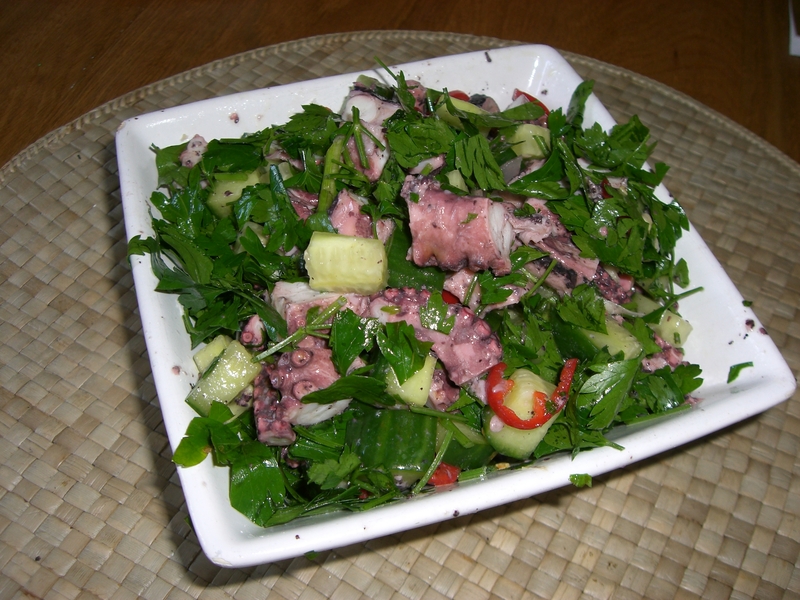 This entry was posted in Recipes and tagged Octopus, salad. Bookmark the permalink.